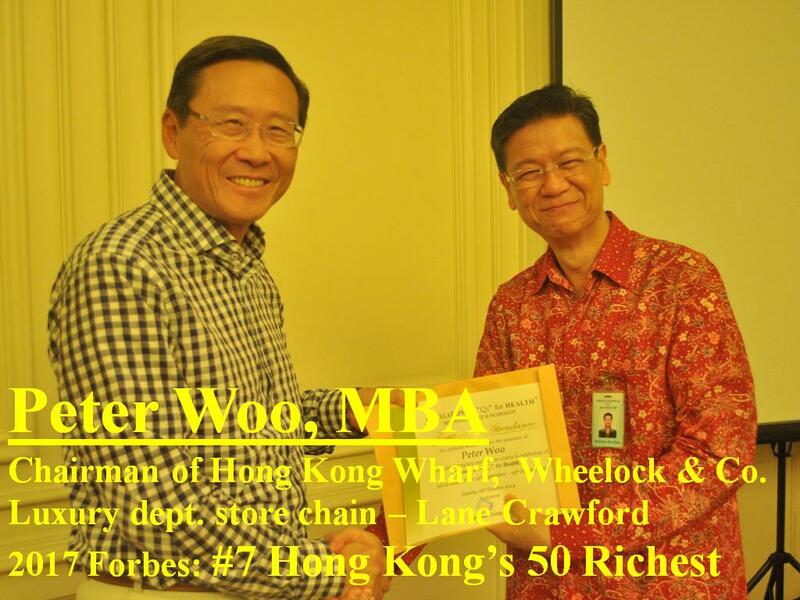 An Honour to have Mr. Peter Woo, MBA. in our class. 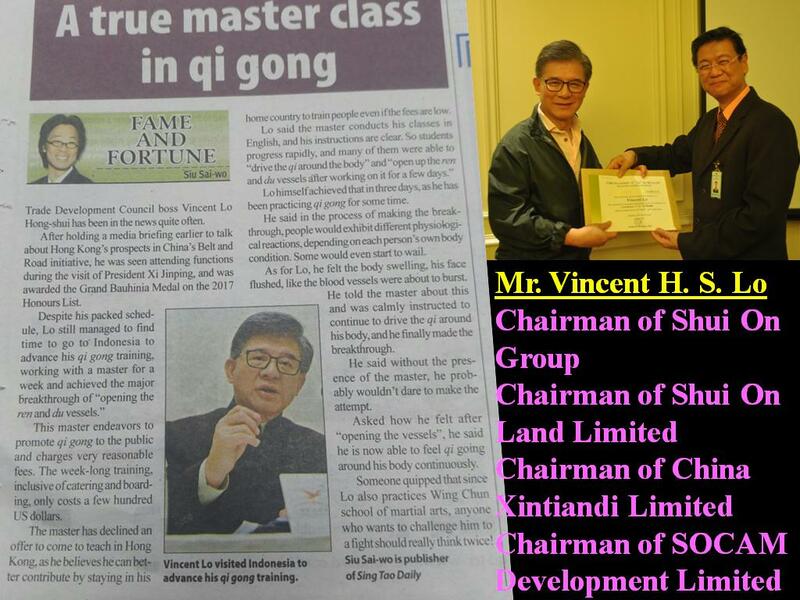 I was recently made aware that another prominent citizen from Hong Kong had actually taken my Qi training Class back in 2014. 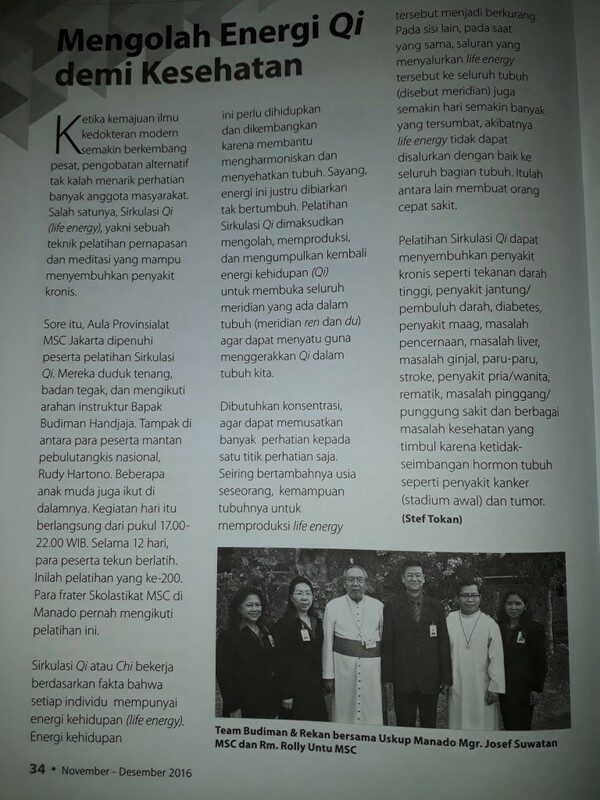 Liputan Majalah Chavelier Edisi November Desember 2016 Halaman 34 atas pelatihan Circulation of Qi for Health dari BUDIMAN & REKAN.